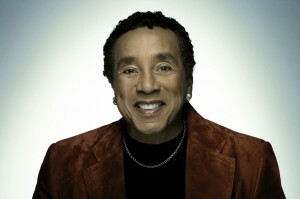 The release date for “Smokey & Friends,” a new Verve Records album of duets by the Grammy-winning Detroit singer-songwriter and Motown icon Smokey Robinson has been moved up to Aug. 19. Randy Jackson produced the album, which features James Taylor, Elton John, CeeLo Green, Steven Tyler of Aerosmith, Sheryl Crow, John Legend, John Mayer and Mary J. Blige, as well as Gary Barlow, Miguel, Aloe Blacc, JC Chasez, Ledisi and Jessie J. The album will introduce Robinson’s timeless songs to a younger audience, but also appeal to longtime fans. The organ-heavy, call-and-response version of “The Tracks of My Tears” features John, while the graceful and elegant “Quiet Storm” highlights Legend. Robinson, who formed The Miracles while in high school in Detroit, has been called America’s “greatest living poet” by Bob Dylan. In 2010, Robinson delivered the keynote address (an interview with music journalist Dave Marsh) at the South By Southwest music conference, regaling an overflow audience with stories about his extraordinary career, beginning with a serendipitous encounter with Motown founder Berry Gordy after failing an audition. In addition to The Miracles, Robinson wrote hits for The Temptations and Marvin Gaye and produced albums for many artists. Robinson’s next concert is Saturday, Aug. 16, at legendary The Greek Theatre in Los Angeles.